General Motors on Friday announced plans to expand research and development of self-driving cars in Canada. The expansion, which was announced in Oshawa, Ontario, will see the growth of engineers in the country from 300 to 1,000 over the next few years. Among those in attendance for the announcement were Ontario Premier Kathleen Wynne and Canadian Prime Minister Justin Trudeau. GM Canada’s investment will focus in on the work involved with Autonomous Vehicle Software & Controls Development, Active Safety and Vehicle Dynamics Technology, Infotainment, and Connected Vehicle Technology. 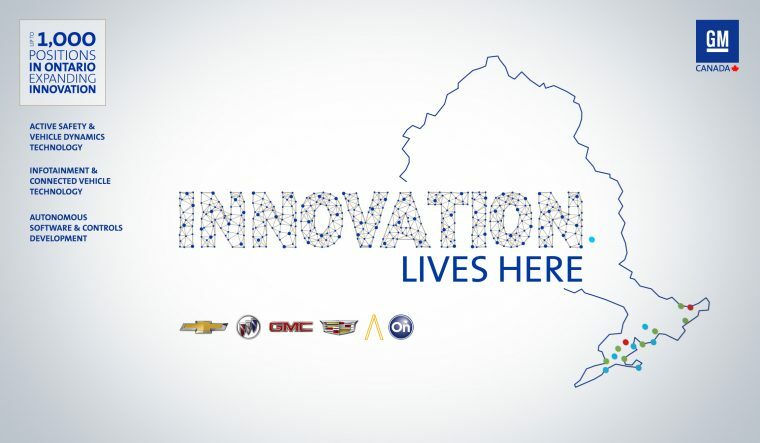 Because this would put the Oshawa Tech Center beyond maximum operational capacity, General Motors will open a new Automotive Software Development Center in Markham, Ontario. GM also announced that it will be investing an additional $10 million in the Kapuskasing Cold Weather testing facility, where new vehicles undergo climate- and environment-specific tests.